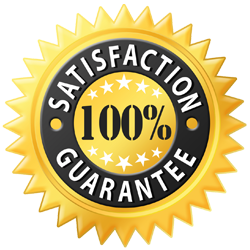 we proudly stand behind our repair specialists in Dryer washer Phoenix repair and guarantee all of our work. Upon completion of your repair, you will receive a one-year warranty on labor. We will not charge you for a service call if you allow us to do the repairs. We also refuse to take advantage of our customers and do not charge you extra fees. Having a reliable dryer and washer in your home is a convenience appliance. 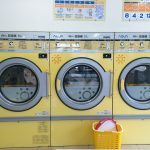 The amount of time and effort saved by washing and drying clothes at home as opposed to visiting a Laundromat or dry cleaner is substantial. The 23rd annual portrait of the U.S. appliance industry report says the average life expectancy of a washing machine is 12 years. The same report gives gas dryers a 13-year life expectancy and electric dryers 14 years, on average. if it stoped work for any reason, Dryer washer Phoenix repair is the answer. While washing machines and dryers are thought of together and often purchased together, for simplicity sake we will look at dryer/washer repair as two separate categories. 1. Noisy Dryer- When it comes to dryers, over 35% of service calls are about noise. The blower wheel and its housing are a common cause of excessive dryer noise. If your dryer blower wheel is loose, you will hear a loud thumping or roaring noise. Both of these components will wear out over time and may separate from the end of the motor where they attach. The drive belt rotates the dryer’s drum. It may become brittle, inflexible, and hard with age; if pieces of the belt separate they make a loud thumping noise when the drum is turning. A faulty motor will also make several noises including rattling, high-pitched squealing, or a loud humming. Dryer washer Phoenix repair available now. 2. Dryer Will Not Start- Nearly 25% of customers contacts us because their dryer will not start. The reasons vary but the frustration is consistent. Often a malfunctioning door switch is a reason your dryer will not start. If the switch is faulty the dryer will not get the signal to begin tumbling. We also see problems with the main control board on electronic dryers as well as defective thermal fuses which read as though the dryer is overheating when this is actually not the case. 3. No Heat or Not Enough Heat- Around 10% of our calls in Dryer washer Phoenix repair are because the dryer has no heat or not enough heat to dry clothes. One common cause for this is a worn or defective cycling thermostat. Cycling thermostats maintain proper temperature inside the dryer drum by cycling the heating element on and off assuring the right amount of heat. Sometimes the cause of no or low heat in an electric dryer is a defective heating element. A faulty igniter is a frequent cause of heat issues in gas dryers. 1. Replace the vent tubing- This ensures your dryer has proper ventilation; making the dryer safer and more efficient. 2. Annually disassemble and clean inside- Even the most careful dryer owners need to have their dryer taken apart and professionally cleaned to be absolutely sure there is no buildup of flammable lint inside the dryer. 3. Inspect the area around dryer vent- A quick inspection of the area around your dryer’s outside vent is an easy way to prevent blocking of the vent. A blocked dryer vent will not dry clothes efficiently and is a potential hazard. 1. Noisy- As we saw with dryers, the top reason for washing machine service calls is a noisy washer. The drain pump and drain pump motor are common origins of washing machine noise. These wear down over time and will most often make noise during or after the spin cycle. On belt driven washers, the pump belt is what propels the pulley on the drain pump. Age and normal wear and tear cause the pump belt to crack or fray; this creates a thumping noise or high pitched squeal during the drain or spin cycle. The washing machine drive motor is also a common cause for the noise. This is usually a humming or buzzing noise when the motor starts. 2. Leaking- More than a quarter of washing machine repair calls are for leaking washers. Hoses are the most common cause of washing machine leaks. They break down and crack with age and clamps loosen or corrode. Your washer can also have a faulty tub seal. These seals keep water from leaking where the transmission shaft enters the washer’s tub. The tub seal leak tends to start out as a small leak but if left unchecked it can cause a failure of the main tub bearing. A drain pump leak is less common than other washing machine leaks; however, a faulty drain pump requires replacing. 3. Washing machine will not start- Around 20% of customers experience a washer that will not start. This happens for several reasons. 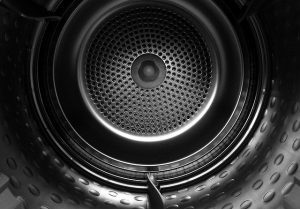 Worn down knobs can keep your washer from starting. Typical wear can cause the knob to slip on its shaft; this makes it impossible to engage the washer’s switch mechanism. A defective main control board will stop a washing machine. If the control board fails to give the proper voltage to the fill valve, door lock, drain motor, or drive motor then the washer will not start. Malfunctioning drive motors are a common cause for this sort of washing machine problem as well. Giving your washing machine proper professional maintenance will add years to its life and save you money in bigger repairs through the years. Here at Phoenix Appliance and AC Repair, we are trained and certified to help maintain your washer for years to come. 1. Prevent flood damage- We strongly advise you to consider the installation of a water shut off system. If the washing machines fill hoses burst or the water level switch fails, the water damage to your laundry area could be extensive. A water shut off system will prevent damage by detecting malfunctions and automatically turning off the water supply to the washing machine. Our certified repair specialists will quickly install a water shut off system to give you peace of mind and protection against damage to your home. 2. Inspect hoses- Allow us to check your washing machine’s hoses for any signs of damage such as blisters or cracks. It is good to remember that manufacturers usually advise replacing hoses about every five years. 3. Replace hoses- For extra peace of mind; consider replacing your washing machine’s current hoses with high-quality stainless steel hoses.